Nematodes, microscopic worms, are so small that one handful of soil may contain thousands. While some types of nematodes in the soil are beneficial, such as those that feed on fungi, others are plant parasites. Soil solarization is the only way to kill nematodes, but there are numerous ways to decrease the population in the soil. Soil solarization is a method of heating the soil to temperatures that kill certain nematodes. A soil temperature of 125 degrees Fahrenheit for 30 minutes, for example, kills root knot nematodes and their eggs. Solarization, which you need to do in summer, also kills weed seeds and many types of fungi and bacteria. To get started, remove any debris from the planting area, including weeds, rocks and roots -- the soil should be completely level. Water the area to a depth of 12 inches and use a rake to make sure the bed is level. Cover the area with clear “painter’s plastic” with a thickness between 1 and 4 mil. The plastic must remain tight against the ground, so shovel soil over the edges to keep it in place. Allow the plastic to remain on the soil for up to six weeks -- longer if you live in a region with cool summers. Leaving the soil unplanted and bare is known as fallowing. The problem with using this technique to rid the soil of nematodes is that it takes an entire year and still some nematodes will remain. In two years, you’ll have fewer nematodes. During the fallow period, keep the soil moist and the area free of weeds. Fallowing requires repeating every other year. One way to manage this is to divide the garden into thirds and rotate the fallow area every year. Cover crops are plants that are grown between seasons. For example, farm land that appears to be covered in weeds may be growing cover crops. Farmers grow these crops to help boost soil fertility or reduce erosion. Cover crops that are resistant to nematodes work to keep their population in check. If there is nothing for the pests to eat, many will die. You can use this same technique in your yard. The problem with using cover crops is that crop resistance is specific to nematode species, so you’ll need to know exactly which nematode you’re dealing with. For example, rye (Secale cereal), an annual grass, resists root knot nematodes but not sting nematodes. Organic matter, including compost, grass clippings and leaves, can be added to the soil to boost your plants' ability to resist nematode damage. When nematodes munch on a plant’s roots, the plant has difficulty absorbing water and nutrients from the soil. 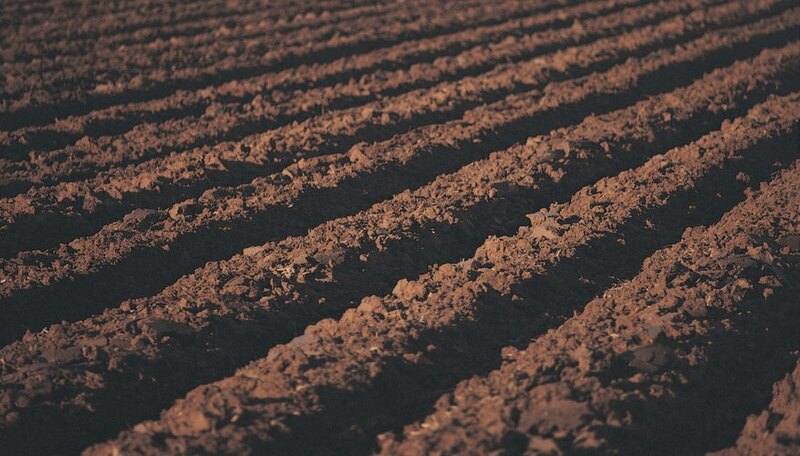 If the soil is rich in organic material, it is better able to hold water and nutrients for the plant to access. While adding organic matter to the soil doesn’t kill nematodes, it does help a plant resist the damage they can cause. University of Nebraska-Lincoln: What Is a Nematode? Why Are My Eggplant Leaves Shriveling Up? What Are the Treatments for Soil Diseases?